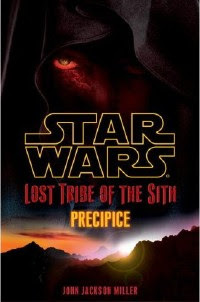 Faraway Press: The Online Home of John Jackson Miller: Lost Tribe of the Sith: Read it for free! I just wanted to let you know (after way too long of an absence from your blog) what a BLAST I had reading this on the weekend. An absolute blast. And I was doubly, nay, TRIPLY excited to have some of the Red Sith show up. It's been far too long. And your smart-mouth captain... poor man. He's in for a bad time. Although at least he wasn't hurking up a lung like the poor Massassi. You have a deft touch with characterizations and, as always, a nice dose of irony through the character POVs. I can't wait to read more. I am more excited--by far--about your e-novels than about the actual book series. Shhh, don't tell. Thanks, Carolyn! There's more cool moments to come in this series -- stay tuned! Good to hear from you -- don't be a stranger!